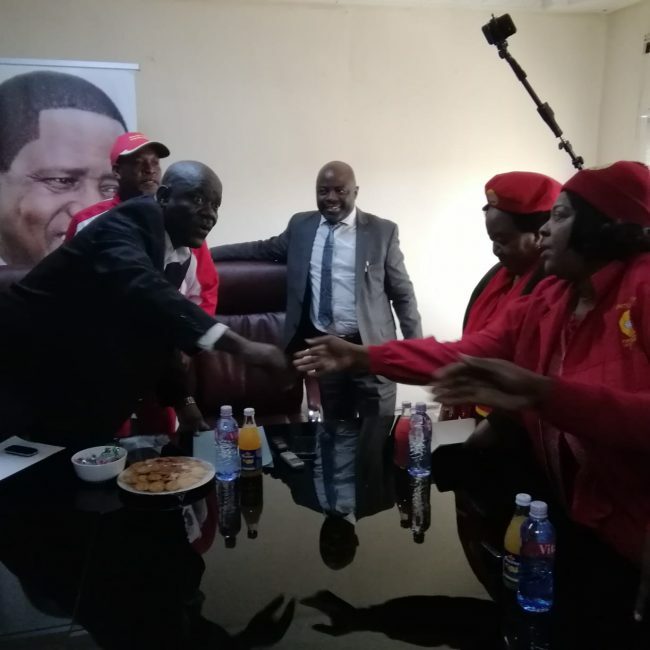 United Party for National Development (UPND) has reiterated its commitment to a peaceful country in which people of different ideologies and political affiliation coexisted. 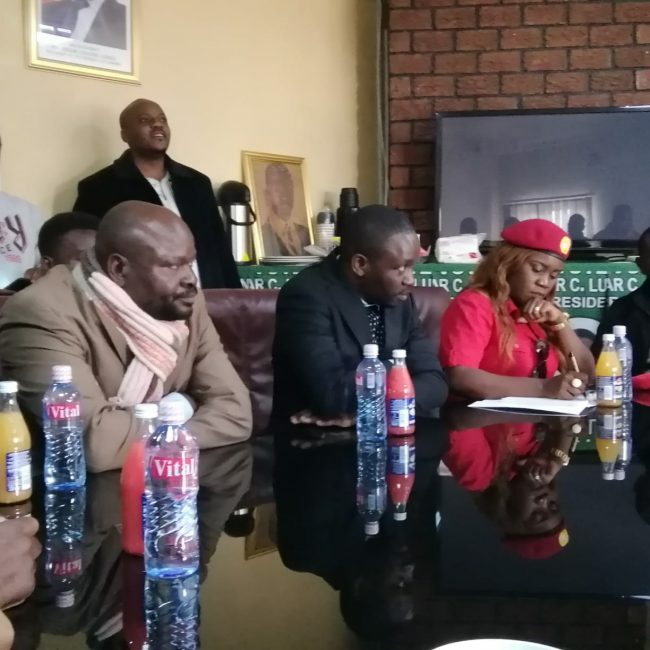 Speqking during an intra-party meeting between the two greatest rivals (PF & UPMD) held at the PF Secretariat this afternoon, former Chikankata MP and UPND National Youth Chairman, Munji Habeenzu said that the UPND believed in “a peaceful society in which people with different political ideologies and affiliation; an environment in which everyone exercised their freedoms and liberties without fear of reprisal from the authorities”. 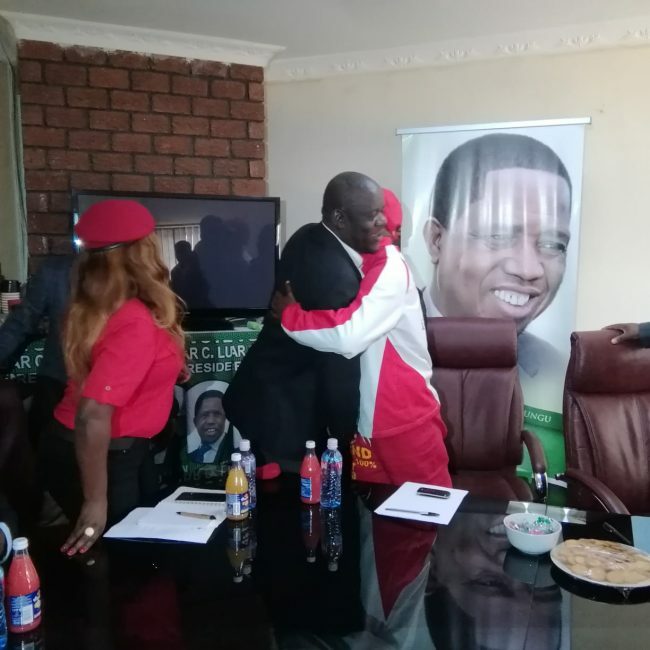 Honourable Munji also said the UPND, through its leader, Hakainde Hichilema, has been of the idea that Zambia needed to get together and enhance the respect for human rights and coexistence so as to foster lasting harmony and rebuild the lost image of democracy. 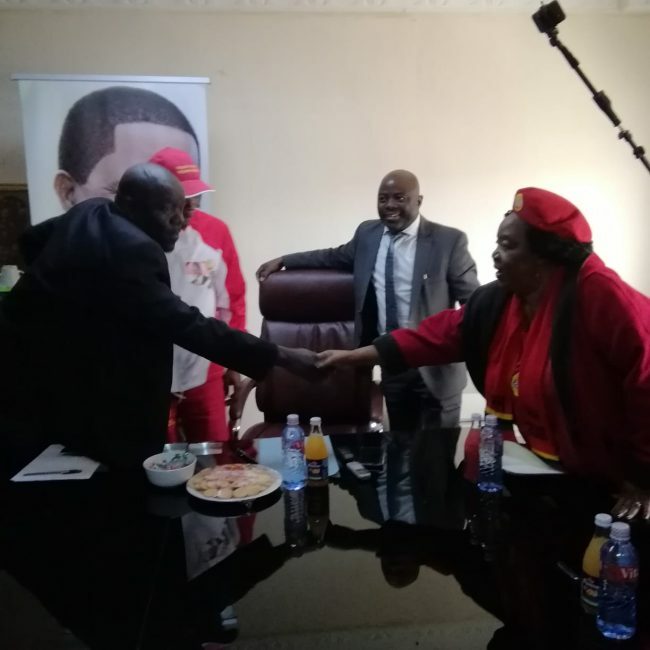 The meeting was a follow-up to the meeting that was held last Friday, 20th July at Lusaka’s Civic Center where the two rival parties signed a peace deal aimed at fostering peace, unity and coexistence among political players especially as the country heads to the Mayoral election in two days time. Munji also thanked the PF for hosting the UPND and requested that the party (PF) be hosted in a few days time at its Secretariat, to which Hon. Kampyongo responded in the affirmative. “We are happy that you have hosted us here at the PF Secretariat. We, as UPND are alive to the fact that we only have one country which we should guard jealously. What legacy will we leave for our children if we continued fighting and maiming each other?” said Mr Munji. 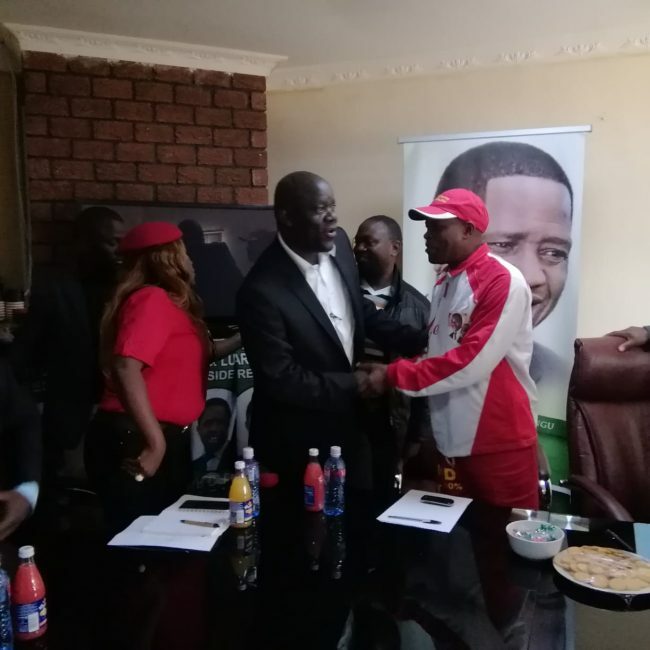 And PF Secretary General, Davies Mwila said the UPND were welcome at the Secretariat and that his party would reciprocate the gesture in no time. UPND women Chairperson, Mrs Kabwiku said she was happy to see what she started come into fruition. “Am happy that we are here gathered like this. Am happy that as someone who started this, I am happy that what we have is a new beginning. As we are all aware that we have an election in a days time. Let’s allow our members to go out and vote freely. Let’s not close the roads leading to polling centers. Let’s not bar voters from exercising their right to vote,” she said. “We will commit to entrenching this culture on to our youths so that they know how to deal with each other and resolve their misunderstanding. 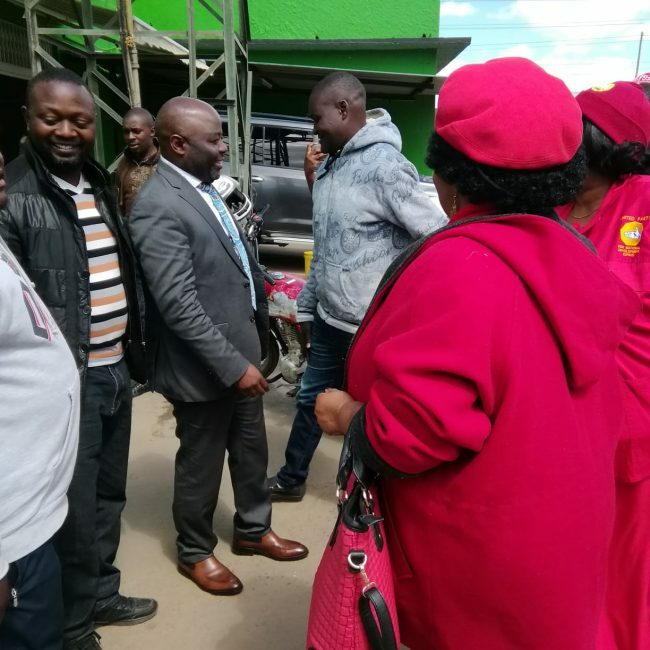 And we will make sure that that is achieved,” said Steven Kampyongo, Home Affairs Minister and PF Youth League and Security Chairman. 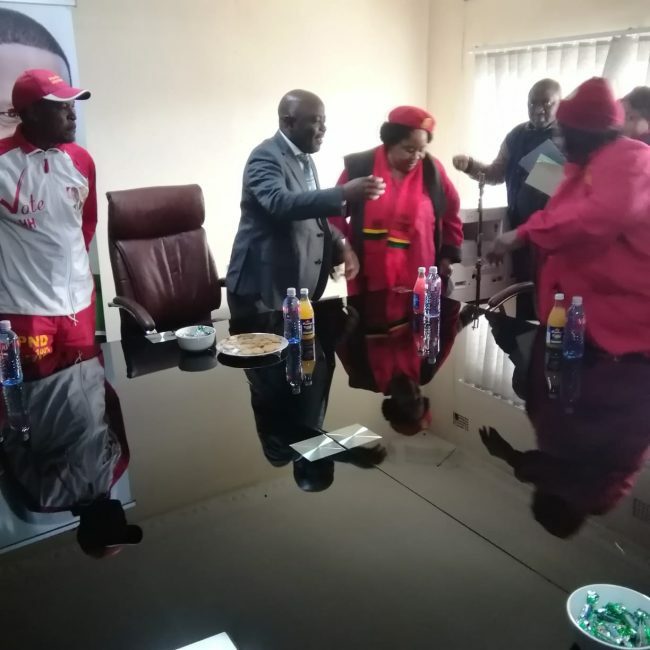 1.here will be a steering committee to be constituted immediately to end political violence and the people spearhead the committee will be selected from the two parties. 2. There will be depoliticization of all markets in order to allow for all traders to trade freely and also find a way of taking back those who were chased. 3. There will be a general amnesty on those who have been arrested on petty political squabbles by Local Government, Justice Ministry in order to facilitate for their release. 4. Both political parties will carry out social and political events in order to get them to socialize. 5. There will be no deployment of cadres from one place to the other during political events and rallies. 6. There will be demilitarizing of youths from both political parties. 7. Leaders of the two political parties to use civil language. 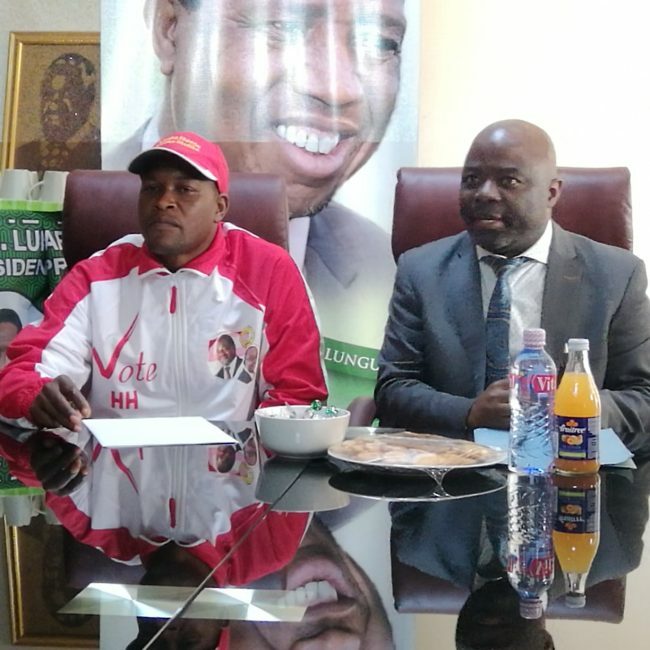 Some of the PF officials present at the historical and extraordinary meeting were: PF Deputy Media Director, Antonio Mwanza, and Daniel Kalembe, former Provincial (Lusaka) Youth Vice Chairman. 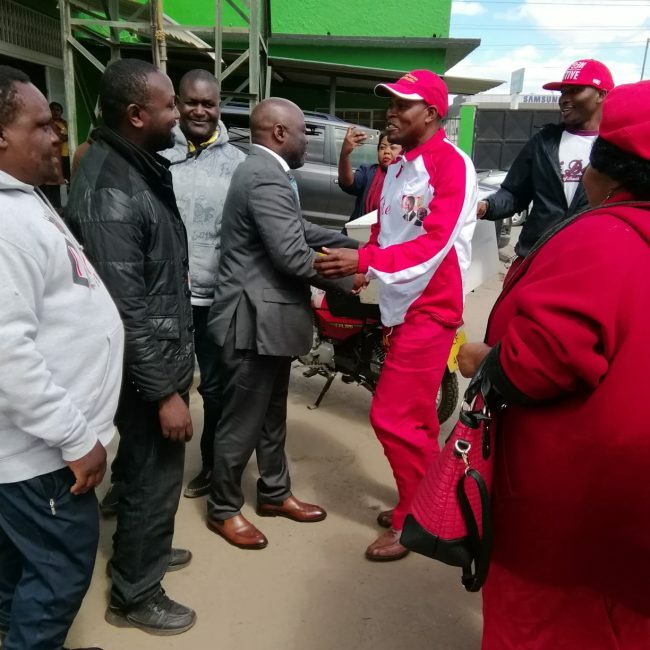 And other attendees from the UPND are: Spokesperson and Information Director, Charles Kakoma, Media Director, Ruth Dante, Samuel Ngwira, Deputy National Information and Publicity Secretary, Ottis Bwalya, UPND Lusaka Province Deputy IPS.